The emotions pose many philosophical questions. We don't choose them; they come over us spontaneously. Sometimes emotions seem to get it wrong: we experience wrongdoing but do not feel anger, feel fear but recognise there is no danger. Yet often we expect emotions to be reasonable, intelligible and appropriate responses to certain situations. How do we explain these apparent contradictions? Emotion, Imagination, and the Limits of Reason presents a bold new picture of the emotions that challenges prevailing philosophical orthodoxy. 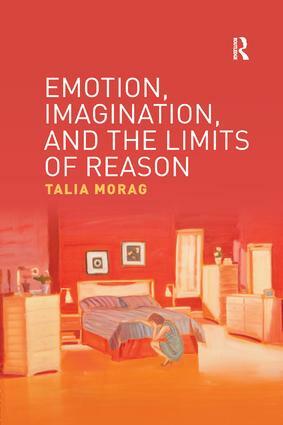 Talia Morag argues that too much emphasis has been placed on the "reasonableness" of emotions and far too little on two neglected areas: the imagination and the unconscious. She uses these to propose a new philosophical and psychoanalytic conception of the emotions that challenges the perceived rationality of emotions; views the emotions as fundamental to determining one's self-image; and bases therapy on the ability to "listen" to one’s emotional episode as it occurs. Emotion, Imagination, and the Limits of Reason is one of the first books to connect philosophical research on the emotions to psychoanalysis. It will be essential reading for those studying ethics, the emotions, moral psychology and philosophy of psychology as well as those interested in psychoanalysis. Talia Morag is a postdoctoral research fellow at Deakin University, Australia. She is the director of Psyche + Society, which brings discussions about social psychology to the wider public.